Zeelandia has a complete range for lubricating different parts of the dough-dividing machines and bread slicing machines. The Ovam range is designed to withstand oxidation which benefits your machinery. The quality requirements are very strict as the lubricants come into contact with the dough or batter. At the same time the viscosity has to be right for a good lubrication. All Ovam products are neutral in taste and aroma. Ovam is also available in aerosol. This version is time saving and convenient. It is Zeelandia’s policy to only use ingredients from non-GMO origin, which means the use of Zeelandia products will not result in GM labelling according to regulation 1830/2003/EC. This is based on tracebility and identity preservation (IP) systems. 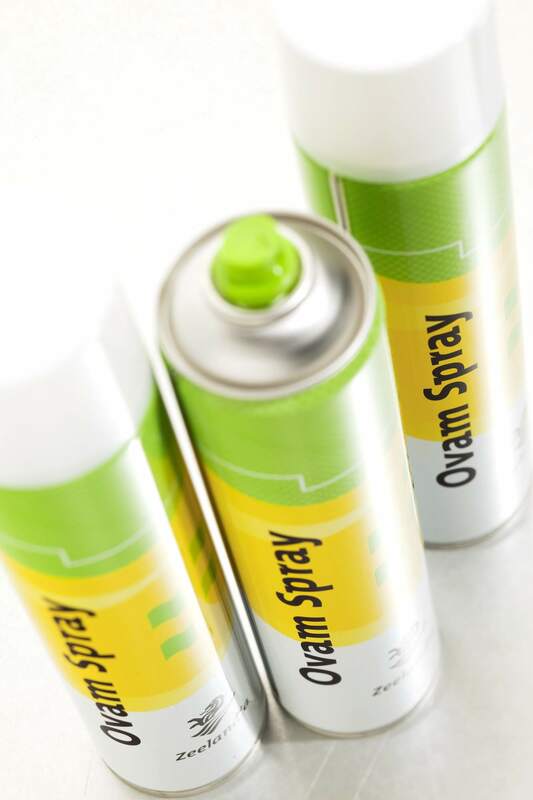 The Ovam range goes from a handy spraying can till tailormade products to suit your equipment. Our technical specialists from Zela Techniek can advise you on your spraying equipment, how to use Ovam oils best and service your machines. For more information, please contact your local Zeelandia representative or Zeelandia International.